What is this “green beverage” ye’ ask? Why ’tis only green tea of course. Now, I know I’d have a hard time convincing readers (Irish ones anyway) to drink green tea instead of beer on St. Patrick’s Day, but I thought it would be a fun way to share some of green tea’s health benefits. These benefits include fat loss, healthy glowing skin and a stress reduction effect on the mind! Green tea is an excellent source of polyphenols called catechins. Catechins are what makes green tea so good for us. One catechin in particular called epigallocatechin galate (EGCG), contains potent antioxidant, anti-cancer and anti-inflammatory properties. Green tea also posses anti-aging properties. There is research suggesting that EGCG found in green tea may help protect skin from UV rays, which are responsible for the majority of the signs associated with skin aging. EGCG has also been shown to prevent collagen breakdown and help rejuvenate old skin cells, helping them to act like younger cells, making green tea a popular anti-aging skin care ingredient. Green tea does contain caffeine, which can help boost your energy levels, but unlike coffee, green tea won’t give you the “jitters”. This is due to an amino acid found in green tea called L-Theanine. Theanine counter-balances caffeine’s action and helps calm the mind while still giving you a “lift”. You will feel alert but relaxed. Theanine does this by stimulating production of a neurotransmitter called GABA, which helps calm down the mind. Theanine also triggers the release of dopamine, giving a sense of well-being. 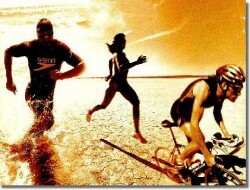 Helps increases fat oxidation (fat burning). Elevates metabolic rate, meaning you will burn more calories throughout the day. It’s important to note that green tea’s weight loss and fat burning effects are not instant. 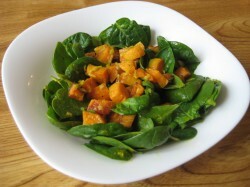 The effects build up over time, but can be more apparent when you are eating a healthy diet and exercising regularly. 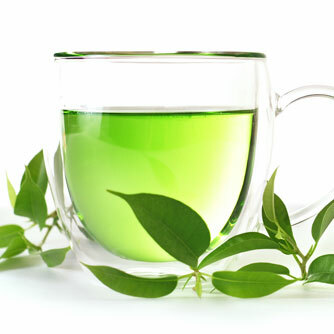 The good news is that green tea can be used safely long-term, making it an excellent weight control aid. How Much Green Tea Do You Need To Drink To Get Benefits? To get the effects mentioned, you want to be drinking 3 – 4 cups of green tea per day! In my opinion this is too much for just about everyone. Instead, try 1 cup per day, ideally early in the day. This way you will still be getting some great benefits without the side effects of too much caffeine. If you are pregnant, breast-feeding or sensitive to caffeine, always check with your health care professional. So, I may not have convinced you to drink green tea instead of beer on St. Patrick’s Day, but hopefully I have convinced you give this amazingly healthy beverage a try very soon. This entry was posted on March 16, 2012 at 3:14 pm. You can follow any responses to this entry through the RSS 2.0 feed. Both comments and pings are currently closed. 2 Responses to "A Healthy Green Beverage For St. Patrick’s Day"
I’m totally with you on this one. Four cups a day is a lot for me, so I just try to have four or five cups per week. I figure this is better than nothing. Yep, even a small amount of green tea spread over a week you’ll still get some great antioxidant benefits. I use loose leaf green tea, which is best. The same teaspoon can be used up to three times and still give all the same benefits, albeit a little less potent with each additional cup. So I might drink drink 4 cups throughout the day, but I’m actually only using 2 teaspoons of green tea in a given day.